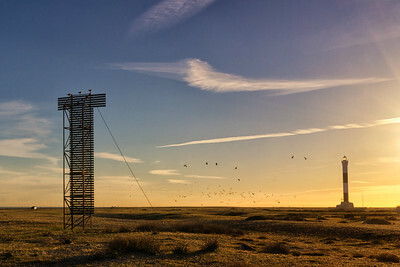 A gallery of images depicting the baron desolate landscape of Dungeness. 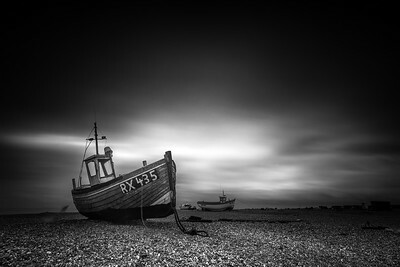 Featuring the vast shingle beach with its characteristic wooden shacks, abandoned fishing boats and, landmark lighthouses. 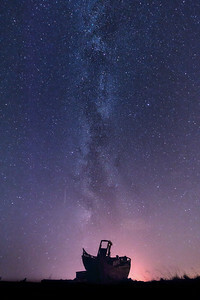 A truly unique landscape whatever the time of year and one of Kent's best dark sky areas. Beautiful prints and canvas of superior quality available as ready to hang wall art to buy online in any size or frame. 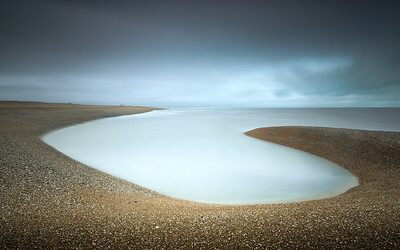 A minimalist view of Dungeness beach in Kent. 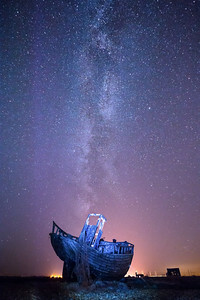 The milky way stretching up above one of the old fishing boats on Dungeness beach in Kent. Due to the apparent constantly changing position of the milky way it is only possible to to take this photo perfectly aligned with the boat for a short period of time each year. Coupled with the need for perfectly clear skies make for very rare conditions. 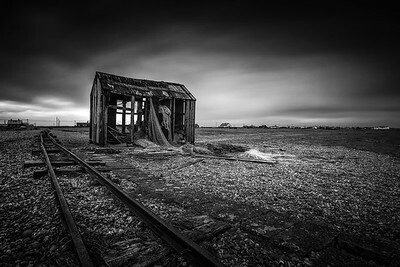 View of one of the old fishing shacks on Dungeness beach in Kent. 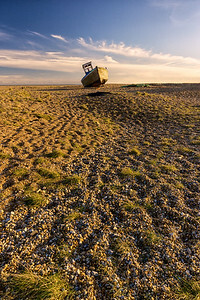 Lone boat on Dungeness beach in the evening light. 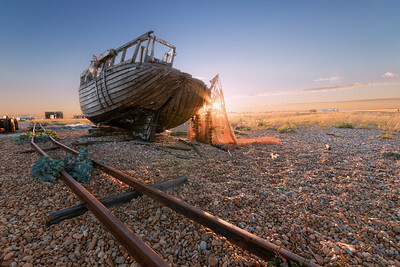 One of the many old, wrecked fishing boats on Dungeness beach. 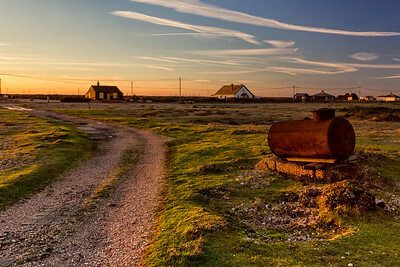 Sunset at Dungeness lighthouse in Kent.